Gerda Blees (1985) grew up in the suburbs and provinces of the Randstad. 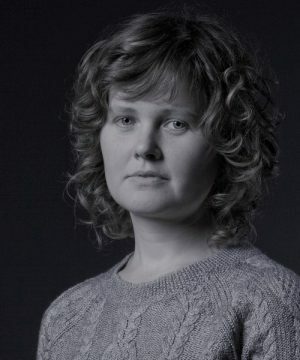 She has published poetry and prose in various magazines, and debuted in February 2017 with the story collection, Aan Doodgaan Dachten We Niet (Of Death, We Do Not Think). Now she is working on her poetry debut, for which she has received the C.C.S. Crone Scholarship from the City of Utrecht and a Scholarship from the Nederlands Letterenfonds (Dutch Literature Foundation). In addition to her writing, she is a lecturer at the University of Utrecht’s Liberal Arts & Sciences programme, and in-between is also studying Fine Arts at the Rietveld Academy. A truly multitalented, renaissance soul.